The renewal of Christian life in the Holy Land stimulated through the restoration of the Latin Patriarchate, in the middle of the last century, was shown by several signs. The two main ones were: the creation of the diocesan seminary which was soon filled with candidates for the priesthood, and the foundation of a congregation meant for the young women of the country who might feel called to the religious life. 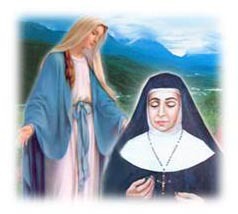 A few young girls entered foreign congregations; one was the eldest daughter of Danil Ghattas, the future MOTHER MARIE- ALPHONSINE. Many other Palestinians followed her example later on. That was however, only an incomplete answer to the wishes of the clear- sighted Patriarch. This was understood by canon Goseph Tannous. In the course of his travels in Europe, this distinguished member of the patriarchal clergy was impressed by the great good done by the religious congregations in the domain of the education of girls. But such a foundation in Jerusalem, however desirable it might be, seemed a utopia. Now, in 1878, on the occasion of a retreat which he was preaching to the Daughters of Mary at the Sisters of St. Joseph of the apparition, he saw an entire group of the restaurants come to him; they wanted, they said, to become a religious community. Astonished as he was by this sudden blossoming of vocations which seemed spontaneously generous, the priest began to give it serious thought. He was not aware of the hand that had secretly worked on these souls and brought them to him seemingly all well prepared. Whose hand was it? And what were the mysterious events that for several years had secretly prepared all the elements of this Congregation of the Rosary whose blue and white dress is Known all over the Near East and whose apostolic spirit and devotion are everywhere admired? The child, whose life we shall relate, was born in Jerusalem on 4 October, 1843 to Daniel (Danil) Meo-Francis Issa Ghattas and to Cattoun (Catherine) Antoun Youssef, united before God on 31 August 1840. Probably coming originally from Bethlehem, the Ghattas� had left there a long time before and established families which seemed to have forgotten their origins. They are found in Bethlehem, in Beit Jala, in Beit-Sahour and in Jerusalem. Some of them are Catholic and others are Orthodox; it is not known when the separation took place. The Danils as well as the Serafins belonged to the Jerusalem branch. Catholic for many generations, they were distinguished by their profound piety and exemplary religious living, Cattoun went to Mass every day. Danil invited friends and neighbours every evening to pray the rosary with them before the statue of Our Lady; they lit candles and incense was burnt. It was the custom among the best Catholic families of Jerusalem to honour the Virgin. Thus during the month of May the Marian meetings were held in Saint Saviour�s parish church. There the recitation of the rosary was preceded by a reading from the Glories of Mary, by St. Alphonsus Liguori. To the fervour common to all, Danil Ghattas added an ardent zeal for the deliverance of the souls of purgatory; and a number of facts, of common knowledge, testify that on several occasions he had been the object of their special protection. The best known in these interventions happened one summer evening, between Jerusalem and Ain-Karem, where the Visitation of the Blessed Virgin Mary took place, situated 6 kms from the Holy City. In that city, crouched deep in the hills of Judea, Christians and Moslems had been living together for centuries. The Ghattas family owned a property there where they liked to spend the holiday season. The head of the family alone stayed in Jerusalem, retained there by his work. It was at the time when Abou-Ghosh, back from exile, through the weakness of governor Hafez Pasha, was causing trouble in the region, provoking antagonism among the local chiefs and tyrannizing the local population. Christians, reduced to a weak minority, were in a general state of insecurity and were particularly exposed to harm. One day news was spread that a violent quarrel had taken place between Christians and Moslems of Ain-Karem. Greatly worried about his family, Danil Ghattas went off immediately to reach the village at night � fall. There he found one of his friends who seemed to have come to meet him. �Your family is safe and sound,� the friend said, �but you are in great danger here. Do not go further.� Danil went back, and, as was his custom, began reciting the rosary for the souls in purgatory. While he prayed, he related later, it seemed to him that he was accompanied by an invisible army which was escorting him. He felt more secure. It is said that his friend, the superior of the Greek monastery of the Holy Cross, from whom he asked hospitality for the night, the gates of the city being already shut, claims to have seen, with his own eyes, armed soldiers who accompanied the traveler. Danil Ghattas was a carpenter by profession. He had clients in town but he worked mainly for his neighbours, the Franciscans. His house was just across the rough narrow street, known today as St. Francis Street. He and the family left that house around the year 1860, when it became too small for his large family. The house has since disappeared completely. It is said that he was the very first Christian to set up a home outside the walled city, in the area known as Mamillah, as there was plenty of available space. But to stay there one had need of a certain courage. Danil had great courage and so had his wife Cattoun of whom one could say that she realized splendidly the ideal of the strong woman of the scriptures. Her maternities multiplied much; within 28 years (1842-1870) she gave birth to 19 children. It seems that the Lord considered such a large number of children to educate as too much for the mother and so eleven of them died very young, to enter paradise. The often repeated mournings of the dead broke the heart of the mother, but they did not prevent her from giving all her devoted attention to the education of the surviving children. The family remained good and beautiful with five boys and three girls: Issa (1848), Elias (1851), Anton (1864), Hanna (1867), Joseph (1870), Soultaneh (1843), Regina (1856), and Hanneh (1858). The girls would become Religious, Anton would be a priest and the others would be set up honorably in life. Danil Ghattas played the role of Patriarch in the Holy City. However, he was not blessed with a long life. He died in 1881, at the age of 61 surrounded by all his family on his death bed. Cattoun survived him for many years; she died at a ripe old age in 1914 after having seen all her children well established and some of them expatriated to America.